Cortical organoids – The most defined human pluripotent stem cell-derived 3D brain tissues that have been created in the lab. Cells in cortical organoids can recapitulate architecture and physiology of human brains. The neurons can maintain apical/basal polarity and connectivity similar to those found in vivo. They are truly the next generation of human brain research. Neural aggregates – These can be customized to represent any part of the human brain and to contain different cell types. Neural aggregates do not have defined structures, but they are consistent in size and highly scalable. Midbrain tissues – Pluripotents stem cells are directly differentiated into dopaminergic neurons in 3D. Tyrosine hydroxylase-positive neurons are highly enriched in these tissues and can mature 100+ days in 3D culture. Midbrain tissues are ideal for Parkinson’s disease-related research. 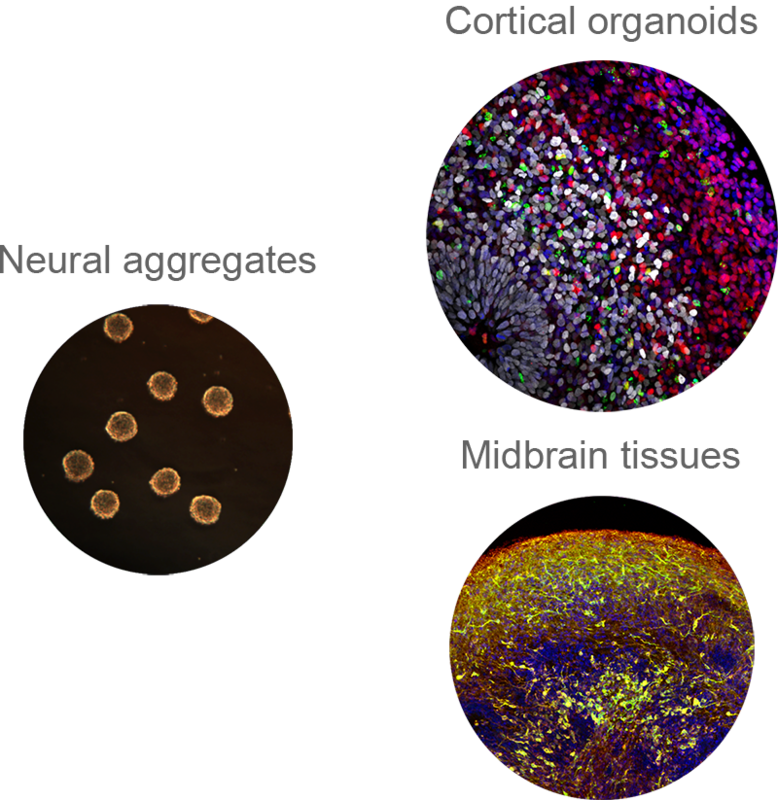 Discover 3D brain organoids’ applications! SpinΩ is a miniaturized, motorized, and modular system that is compatible with any standard 12-well tissue culture plates. It provides a higher throughput platform to culture 3D tissues by reducing the amount of media required and maximizing tissue survival. SpinΩ has proven to support the culture of human brain organoids and to be cost-effective for drug efficacy/toxicity testing. Currently, only a beta version is available that is unsterile, but certain parts are autoclavable and reusable. 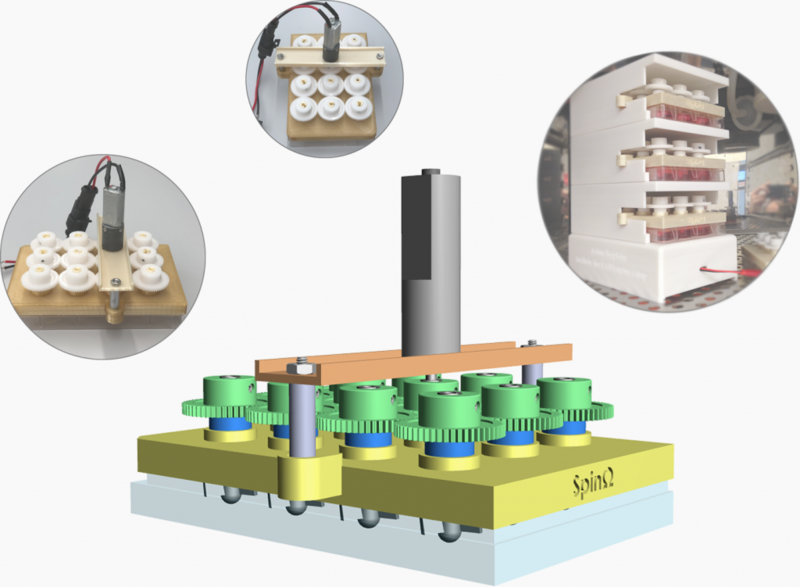 Functional SpinΩ bioreactors need initial assembling and replacement motors.